After more than nine years in space, on a voyage taking it farther to its primary destination than any mission before it, NASA'’s New Horizons spacecraft is within one astronomical unit of Pluto – meaning it’s closer to Pluto than the Earth is to the Sun. Speeding along at nearly 33,000 miles per hour, New Horizons sailed past its last symbolic deep space mile marker at about 5:20 p.m. EDT on March 10. An astronomical unit (au) is the average distance between the Earth and Sun, about 93 million miles or 149 million kilometers. All told, New Horizons' epic journey from Earth to Pluto has covered almost 32 AU — about 3 billion miles. "This is an amazing project — one that will go down in the history 21st century achievements," said New Horizons Principal Investigator Alan Stern, of Southwest Research Institute, Boulder, Colorado. "And the history-making is just beginning — in July we reach Pluto, humankind’s farthest exploration shore, to explore it and its fascinating system of moons for the first time!" 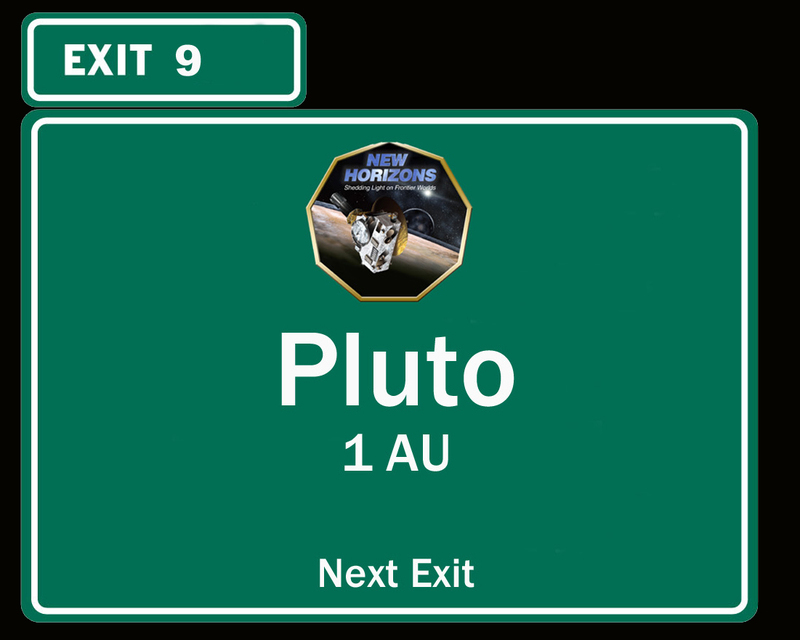 Follow New Horizons on its journey to Pluto and beyond. The New Horizons mission set another historic marker on March 10, performing the record-distance trajectory correction burn in the history of spaceflight. New Horizons was 2.96 billion miles (4.77 billion kilometers) from the Sun at the time of the maneuver; Voyager 2, the previous record-holder, was approximately 2.8 billion miles (4.5 billion kilometers) for its last engine burn near Neptune in August 1989.